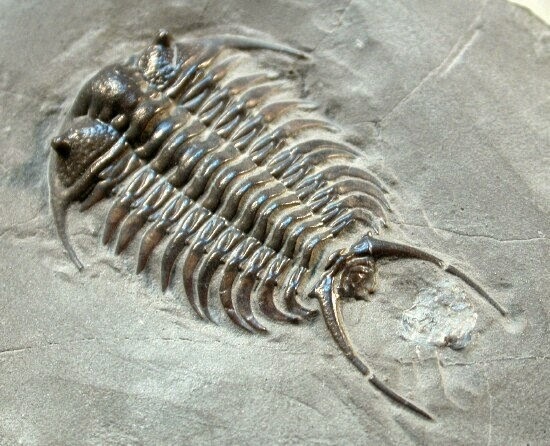 Ceraurus is a genus of trilobites known from warm waters of the Middle Ordovician of North America (Přibyl et al. 1985). Characters (from Přibyl et al. 1985): Eyes shifted anteriorly; glabella with exsagitally running pair of furrows considerably deepened, so that at axial margins it virtually pinches the lateral glabellar lobes; pygidium with three pairs of pygidial spines and odd medial spine, or with two pairs of pygidial spines and convexly bent posterior margin.